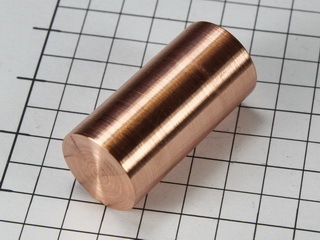 Copper is a reddish colored metal which is malleable and ductile. 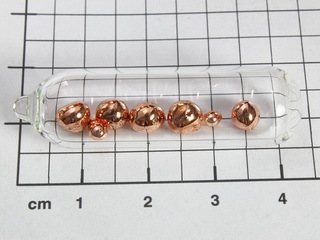 It has excellent thermal and electrical conductivities and good corrosion resistance. 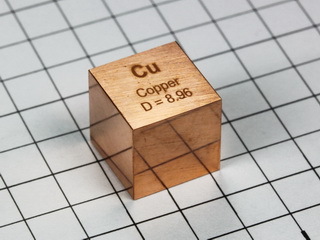 It is found in sulfide ores and as carbonate, arsenide and chloride (abundance in the Earth's crust is 50 ppm). 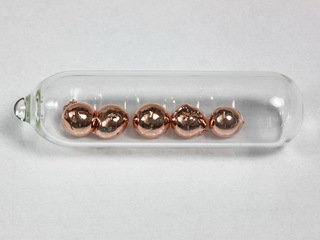 Extraction of the metal involves roasting the ore to produce the oxide, followed by reduction and purification by electrolysis. 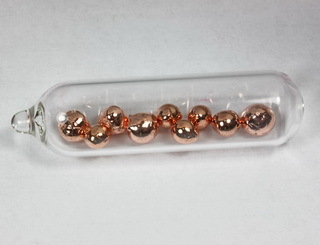 The element is inert to non-oxidising acids but reacts with oxidising agents. In air, it will weather to produce the characteristic green patina of the carbonate. 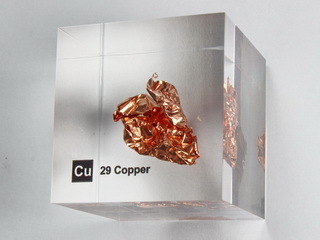 Copper will combine with oxygen on heating to produce CuO at red heat, and Cu2O at elevated temperatures. 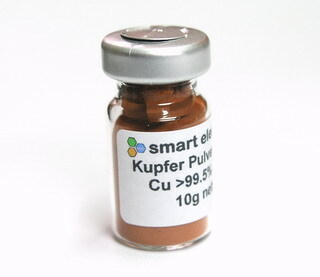 Pure copper has an electrical conductivity second only to that of silver and hence its main application is in the electrical industry. 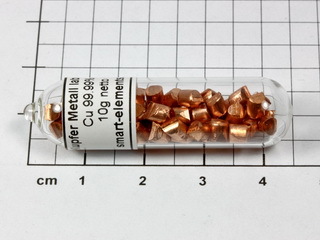 Copper is also the basis of many important alloys (e.g. 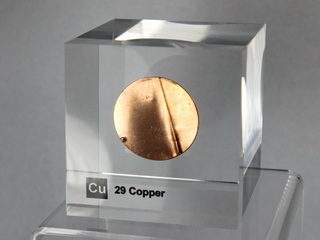 brass, bronze and aluminum bronze) and has been traditionally considered to be one of the coinage metals, along with silver and gold, but being more common, is the least valued. 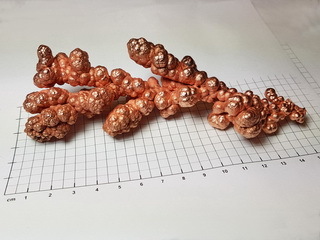 It is one of the first metals ever to have been worked by man and is thought to have been mined for more than 5000 years. 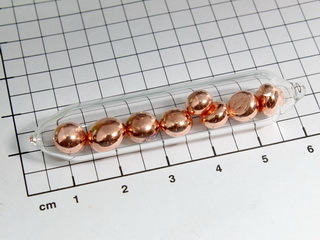 Nice Copper 2+ doped glass bead NEW! 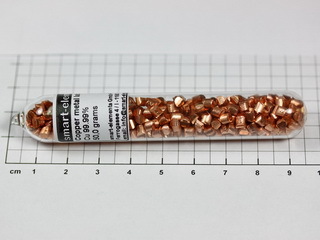 Pure Copper rod 99.99% - 1 inch x 1/2inch dia.